A great whole-class DNA project suitable for Advanced level education. 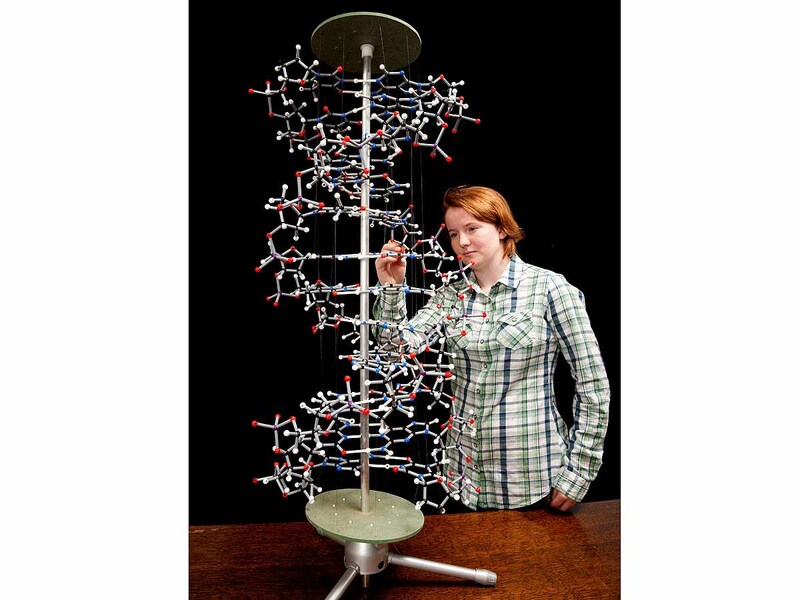 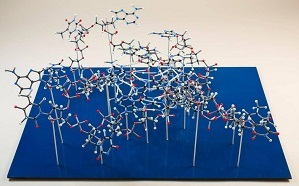 This detailed and large-scale 3d model helps pupils to understand the chemistry and structure of DNA. 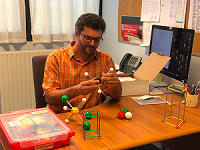 Building the double helix model engages and educates students. 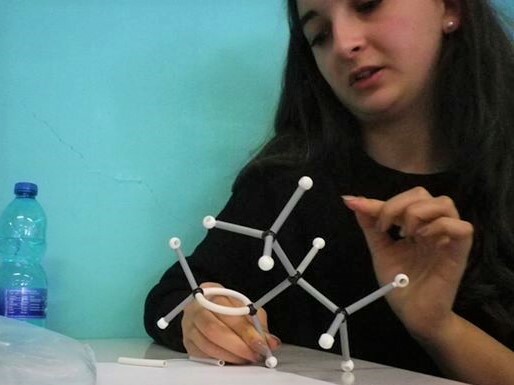 Pupils work together to make up the subassemblies – the Thymine-Adenine and Cytosine-Guanine base pairs, sugar rings and phosphate groups – which are joined together to make an impressive display and teaching resource. 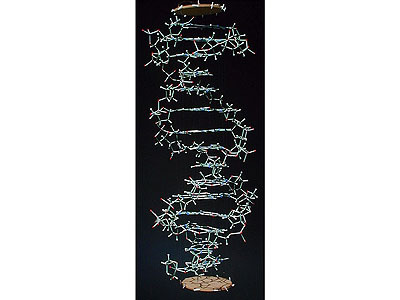 12 base pairs show more than one turn of the double helix and the major and minor grooves of the protein lysozyme. 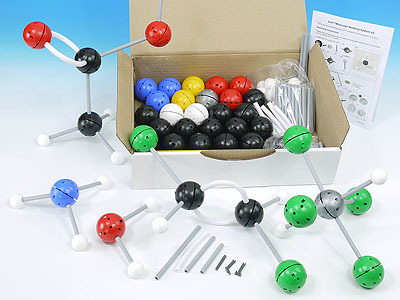 Each atom is shown and coloured bonds indicate covalent or hydrogen bonding. 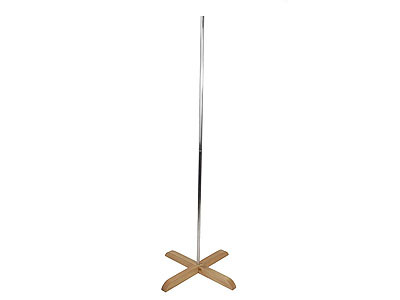 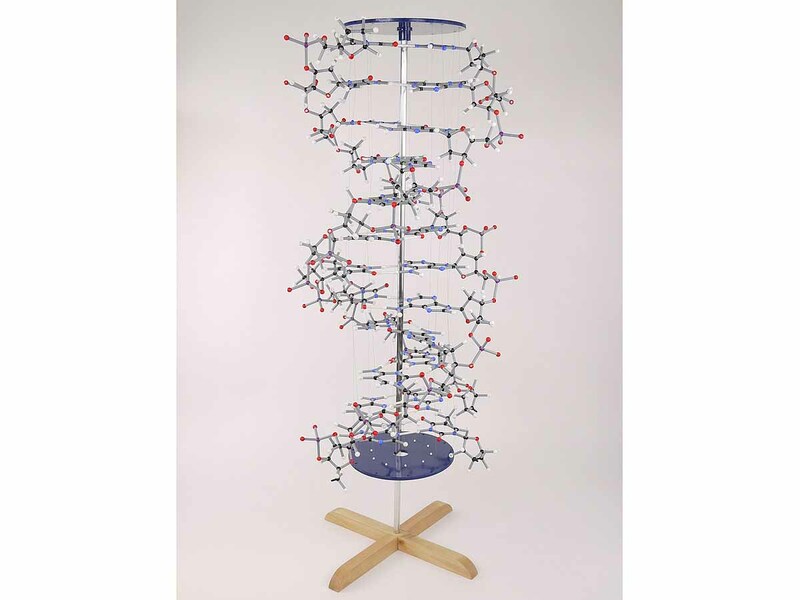 The finished model is 85cm high and 40cm wide and can set on a suitable stand (eg 90cm laboratory stand) or hung from a hook. 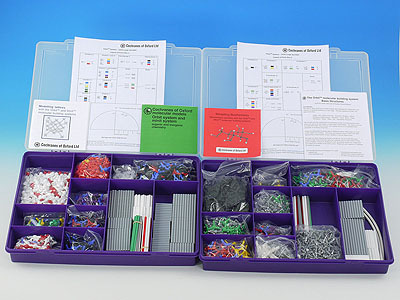 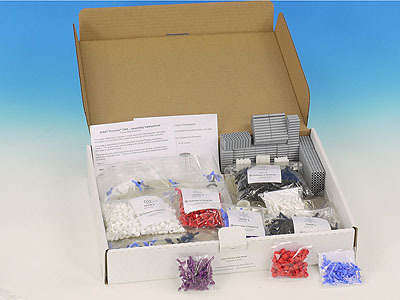 The kit contains 750 atoms and 850 bonding straws from the Orbit molecular modelling system, a set of wooden plates for hanging the model plus assembly instructions and a worksheet examining the structure of DNA and process of transcription. Part and fully assembled versions are also available. 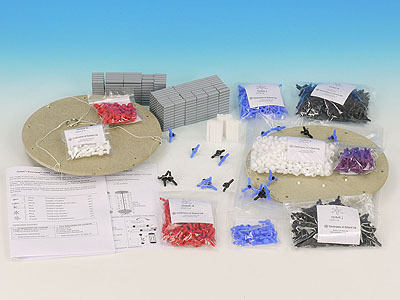 Please note the kit version comes with unpainted wooden plates and does not include a display stand and this can be purchased separately (code 3978) if required. 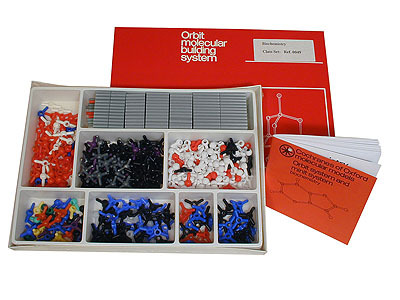 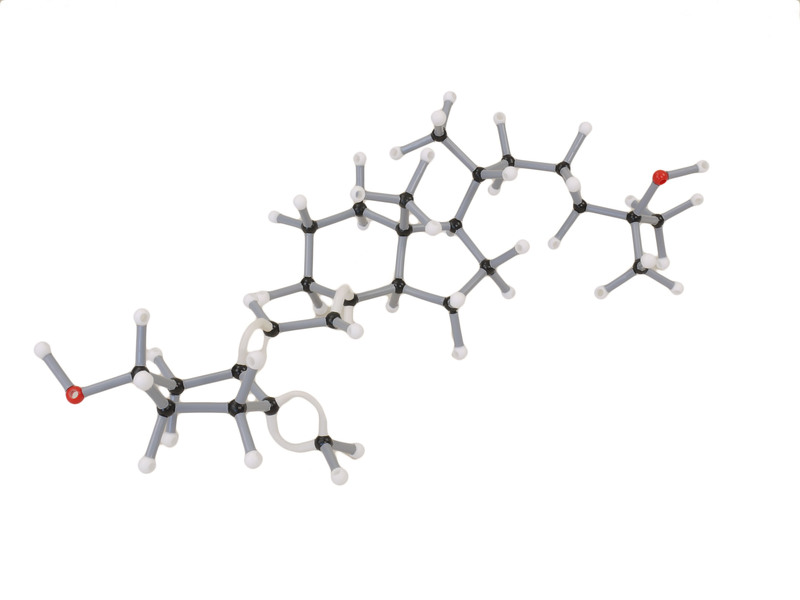 Cochrane's of Oxford have put together a really excellent kit here and have done all the thinking and pre-preparation for you to make this rather easy to assemble - given the high complexity of the molecule. 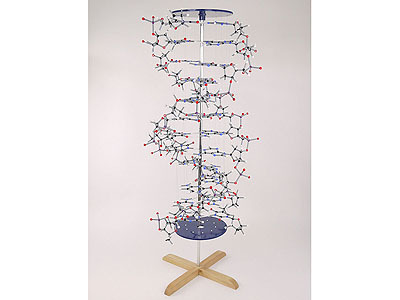 I consider the Orbit Proview DNA model to be extremely good value for money.